Meet Erik, an owl that belongs to my husband's friend. Today, the owl is often used as a symbol for education, and used as a graduation mascot. 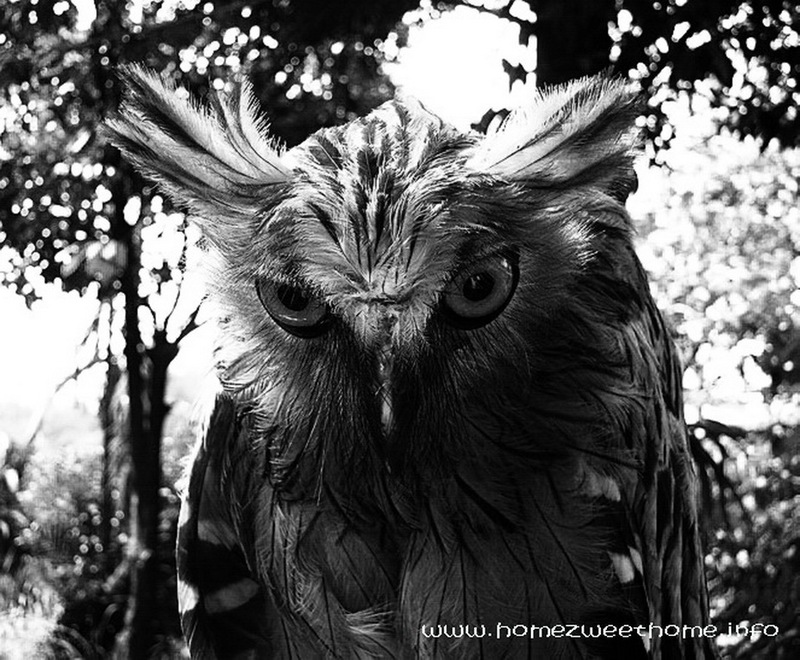 Many cultures have connected the following characteristics to the owl:intelligence, brilliance, wisdom, power, knowledge, intuition, messages, mysticism, mystery, unconscious, silent observation, independence, protection, bravery, transition, longevity, reincarnation. Great light and detail - so well captured! That is a great shot. Love it and wish it were mine. Quite a 'serious' expression on the old boy's face. Nice shot. I would love to own an owl! Great shot! wonderful photo...so much texture and a expressive eyes! The eyes are captivating and the details in the feather are amazing. Great shot of the owl. lol, Eric has a lot to live up to. :) Nice shot of him. I like this portrait. Owls are very interesting creatures. Garang banget itu burung hantu tampangnya....piaraankah? Nice B and W photo. 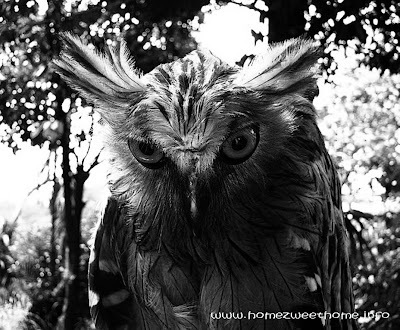 Those piercing big eyes must be what gives the owl the look of brilliance. What an interesting pet to have. hmmm.. pretty! nice shot, Lina. but why does he look so stern, doesn't he want to have his picture taken? hehe.. Excellent portrait of the owl!